The Peoples Democratic Party Governors Forum (PDPGF) has confirmed Governor Olusegun Mimiko of Ondo State as its new chairman. He succeeds former Governor of Akwa Ibom State, Godswill Akpabio, who is now a senator. The governors met in Abuja on Tuesday night and congratulated President Buhari on his emergence as president and former President Goodluck Jonathan on his peaceful disposition to the conduct of the last general elections which it said engendered peace in the country. The governors also congratulated Senate President, Bukola Saraki; Speaker, House of Representatives, Yakubu Dogara; Deputy Senate President, Ike Ekweremadu and Deputy Speaker of the House of Representatives, Yakubu Suleiman Lasun, on their respective elections. Governor of Abia State, Okezie Ikpeazu, addressed newsmen at the end of the meeting. 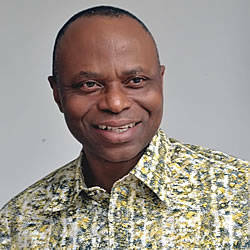 He said: "The PDP Governors' Forum unanimously elected Dr. Olusegun Mimiko of Ondo State as chairman of the forum. "We congratulate President Muhammadu Buhari on his election as the President and Commander-In-Chief of the Nigerian Armed Forces. "We also commend and salute our former President, Dr. Goodluck Ebele Jonathan, for his display of peaceful disposition in the 2015 general elections which has stabilised our political landscape. "We equally congratulate Senator Bukola Saraki, Honourable Yakubu Dogara and Honourable Lasun on their emergence as the Senate President, Speaker and Deputy Speaker respectively. We specially congratulate our own senator, Ike Ekweremadu, on his emergence as Deputy Senate President. "We condemn in very strong terms, the relocation of election tribunals in Rivers State, Taraba State and Akwa Ibom State to Abuja." Also speaking to reporters after the meeting, the new chairman of the forum emphasied that it would engage the present All Progressives Congress (APC) administration in a constructive manner. Mimiko added: "We will do everything that we can do to engage the presidency and APC in a very constructive manner. "We have also agreed to create formal and informal mechanisms of peer review, all for the development of our nation." Governors in attendance at the meeting included Mimiko, Idris Wada (Kogi), Okezie Ikpeazu (Abia), Ifeanyi Ugwuanyi (Enugu), Dave Umahi (Ebonyi), Udom Emmanuel (Akwa Ibom) and Darius Ishaku (Taraba). Bayelsa and Delta states were represented by their deputy governors, Rear Admiral John Jonah and Kingsley Otuaro respectively. Governors absent at the meeting are Hassan Dankwambo of Gombe State, Ayodele Fayose of Ekiti State, Nyesome Wike of Rivers and Professor Ben Ayade of Cross Rivers State.